Both Liceplant and Muckoid done up with extra detailing. 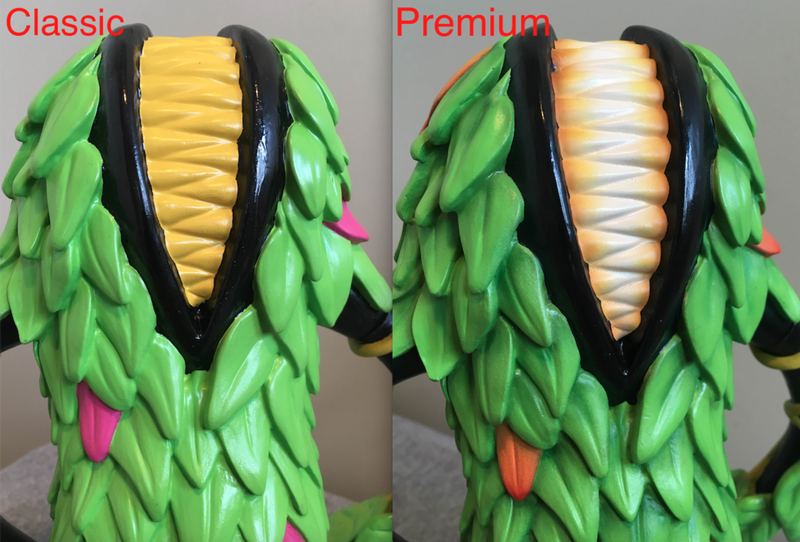 Using hand-painted and airbrushed enhancements to really bring out the features of the larger sculpts. Both figures have additional colors to show off their unique elements. 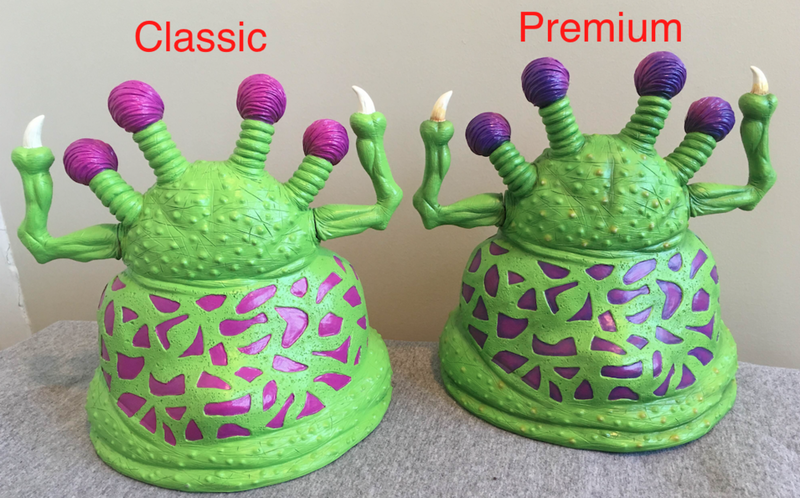 Check out the below comparison shots to the classic figures so you can see where the details have been enhanced. Most notable on Liceplant are the color changes. White teeth with airbrushed details, and yellow to red fades on the leaves giving them an autumn orange appearance. The eyes and all the vines have added details, and all the leaves are shaded with airbrushing giving it a generally darker, and more realistic appearance. Airbrushing on the throat and tongue create more depth and enhance the details. Hand painted aging on the teeth give a more realistic feel to the mouth. The eyes have some bloodshot shading and the claws are enhanced with some aging. All the musculature pops with airbrushed shading. 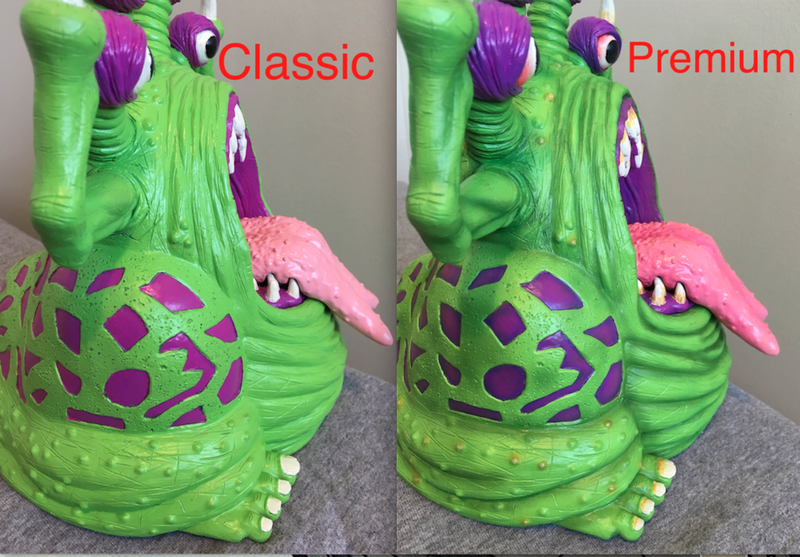 On the broader parts of the figure, there is a general mottled pass of airbrushed detail to add to the overall feeling of grossness. Muckoid also has some toe jam details, and a puss-filled yellowish hue to some of his pimples. Along with the purple spots, the tops of his eye stalks also have a darker gradient for added detail.